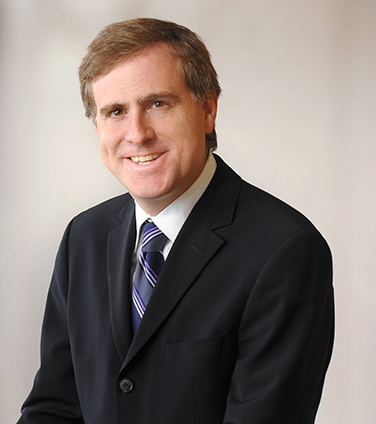 Jeremy specializes in insolvency and restructuring litigation and frequently appears as lead litigation counsel before the Ontario Superior Court (Commercial List), the Ontario Court of Appeal and other courts across Canada in proceedings pursuant to the Companies’ Creditors Arrangement Act and the Bankruptcy and Insolvency Act. He has acted in signiﬁcant cross-border cases and has acted for major debtor corporations, monitors, receivers, trustees in bankruptcy, boards of directors, secured creditors and purchasers of distressed assets. He also maintains a general corporate/commercial litigation practice and has been involved in cases involving commercial contracts, professional negligence, product liability and class actions. Jeremy was named a “Rising Star” by Lexpert magazine in 2010. Jeremy is a member of the Model Order Sub-committee of the Commercial List Users’ Committee of the Ontario Superior Court of Justice. Jeremy is a contributing author to the LexisNexis Practice Advisor Canada Insolvency & Restructuring module. Golf Town Canada, acting for FTI Consulting Canada Inc. as Monitor, in connection with Golf Town’s CCAA proceedings. Target Canada Corp. in connection with its CCAA proceedings. PricewaterhouseCoopers Inc. in its capacity as Monitor of League Asset’s Corp.’s CCAA proceedings. Cash Store’s Special Committee and subsequently its Chief Restructuring Officer in connection with its CCAA proceedings. Alvarez & Marsal Canada in connection with the CCAA and Chapter 15 proceedings of Arctic Glacier Income Fund and the sale of Arctic’s Canadian and U.S. assets to H.I.G. Capital. Province of Nova Scotia in connection with the sale of NewPage Port Hawkesbury Corp. out of CCAA proceedings. Angiotech Pharmaceuticals in connection with its capital restructuring implemented through cross-border CCAA and Chapter 15 proceedings. Canwest Global Communications in connection with its refinancing, CCAA restructuring and sale of its broadcast business. Circuit City’s Canadian subsidiary (InterTan Canada) in connection with its CCAA proceedings and Circuit City’s Chapter 11 proceedings and the sale of over 700 retail locations. JP Morgan Chase Bank as agent and lender for Collins & Aikman in its cross-border CCAA and Chapter 11 proceedings. Blackrock Financial in its capacity as proposed administrator in the CCAA restructuring of the asset backed commercial paper market in Canada. Parsons & Whittemore Inc. and St. Anne Industries in the sale and revitalization of the assets of St. Anne-Nackawic Pulp Company Limited to a consortium involving Tembec Inc. and The Birla Group financed by the Province of New Brunswick. General Electric Capital Corporation in connection with a US$650 million DIP facility and successful CCAA restructuring of Air Canada. AT&T Canada/Allstream in its $11 billion restructuring, CCAA proceedings and debt-for-equity swap. "...he has this amazing degree of calm in the face of a storm, while also being able to recall excruciating levels of detail." "Clients commend his ability to give great advice and to form a very good litigation strategy." "[Jeremy] is a top-notch name in high-stakes cross-border insolvencies and is regularly instructed to represent clients in the Canadian courts at first instance and at the appellate level." CCAA Claims Processes – Guiding Principles for Developing an Effective Method of Determining Creditor Claims, Journal of the Insolvency Institute of Canada, v. 6, 2017 (co-authored with Neil Bunker of PwC). Is a Mortgagee’s Power of Sale Process Assignable? (Lee v. Korea Exchange Bank of Canada), The Six-Minute Debtor-Creditor and Insolvency Lawyer 2009, The Law Society of Upper Canada. Defending Property Under Attack: Considerations Applicable to Receiverships and CCAA Proceedings, Assets Under Attack: Guiding Clients through the Creditor Crunch, Ontario Bar Association Continuing Legal Education, May 25, 2009. What do Secured Lenders Need to Know Now to Avoid Liability, Enforcing Creditors’ Rights, The Canadian Institute, July, 2004 (co-authored with Lyndon Barnes). Professional Compensation in Canadian Restructurings – The Landmark Case of Confederation Treasury Services Limited, Corporate Litigation, Federated Press, 2003 (co-authored with Lyndon Barnes).